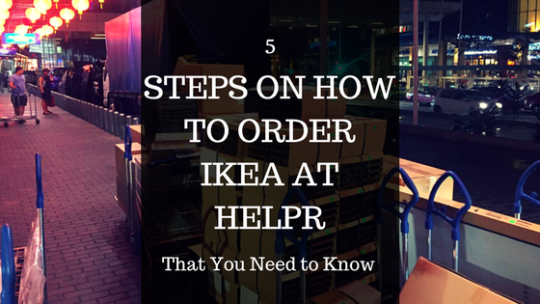 If you’re planning to order IKEA items via personal shopping service by Helpr Malaysia, here’s the step-by-step guide for you to complete your order online. The best thing about the internet is that you can order things online without even have to leave your home. IKEA’s website has a comprehensive amount information – everything from product description, size, price, color etc. You can even make your own shopping list and send it to yourself or share it with someone else. Unfortunately, IKEA’s official website doesn’t provide a platform for you to purchase online. This has become a pain point for many people who see to purchase things from IKEA. While these stores provide convenience to folks living in Klang Valley, people who live in other cities such as Penang, Ipoh and Johor Bahru have no direct access to purchase things from IKEA. That means they have to resort to ask their friends or drive themselves to IKEA in Kuala Lumpur to purchase the things they need. Just some updates, there are now plans to open new IKEA stores in Johor and Penang. The construction of IKEA store in Johor is already in progress and will be opened at Tebrau by end of 2017. Meanwhile, people who are busy with work are not able to commit their time to shop at IKEA, making it even harder for them to get things from IKEA. This is why we created Helpr, to assist you with personal shopping and getting things from IKEA without leaving the comfort of your home or office. In the past, the process was quite manual whereby you need to get your shopping list generated from IKEA website, send it to us and then we will give estimates on how much the total cost would be. If you agree on the pricing then we will advise payment method and estimated delivery time. You can say that it’s time consuming and rather inefficient. We have developed and implemented a self checkout online store system which allows you to get the total price of your order, the shipment method, calculation of service and shipping fees. What Online Payment Method is Accepted? This is followed by making secure online payment directly through one of the banks and payment method below. Your payment will be processed securely via BillPlz payment system that is safely and tightly integrated with all major banks in Malaysia. That means there’s no longer back and forth email, and the online store works 24 hours. You can contact us at any time if you need any help or support. How Do You Order Online at Helpr using Self-Checkout? 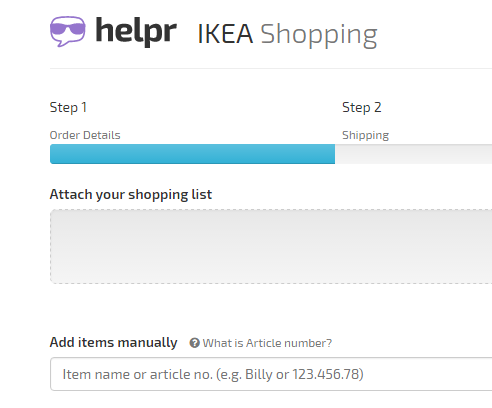 We will now describe step-by-step on how to place your order online for any IKEA item you wish to purchase. If you have purchased online for anything before, the process is very straight-forward. As a start, first you need to identify a list of things you wish to purchase from IKEA. 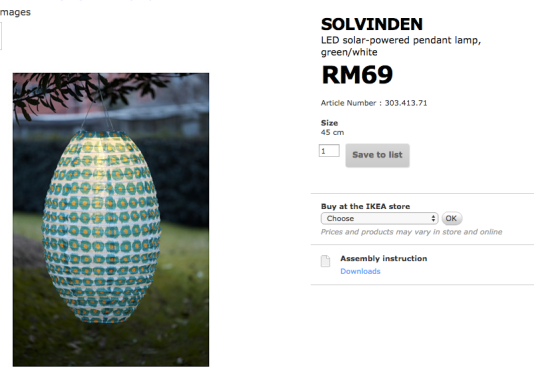 The online catalogue is available on IKEA’s website. Once you have identified the items, you will need to know the article number or the name of item as shown below. As you can see from the product Solvinden above, the article number is 303.413.71. This is very much like a product code. You can either leave your browser window open for all the items you wish to buy or simply write them on a piece of paper. 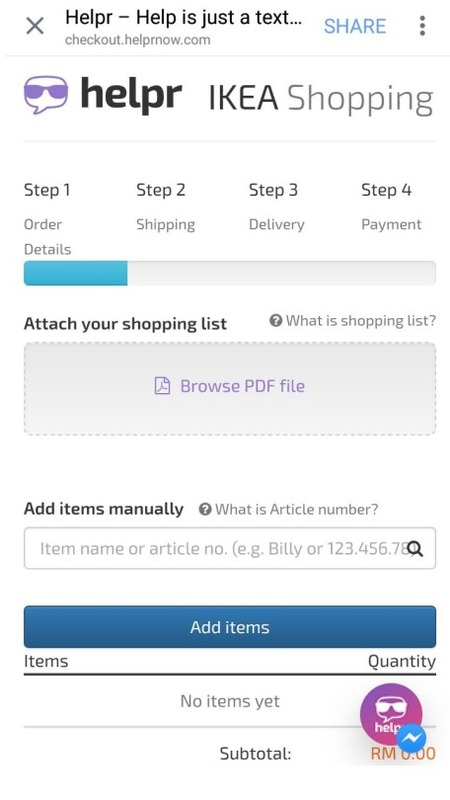 In this page, you can either attach a shopping list or enter the article number of the product you wish to buy. The form will guide you each step of the process and will explain the terms such as Article Number. If you input the article number, the list will display the product including the image of the product. It is extremely intuitive and helpful. Keep on adding the items to the list by clicking Add Items. 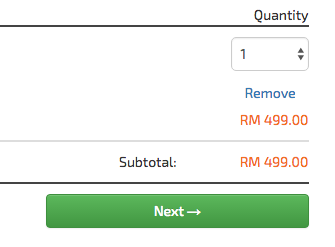 Next, select the quantity for each item you need by clicking arrow up or arrow down. Once you have finalised all the things you need, just click the Next button. As for other countries, you could still fill up the delivery details and our team will revert to your email asap within 1-3 working days. 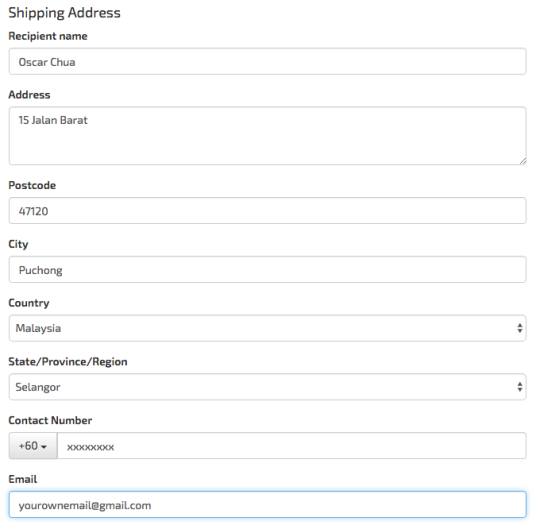 The order summary is shown on the right hand side of the address form. If for any reason you need to correct or update your order list, you can always hit the Back button. Double check that all your information is correct and click Next. We provide four types of delivery services for your purchase as described in that page. This service will be provided by IKEA and is subject to slots availability of IKEA Home Delivery. Confirmation of slots will be specially arranged via phone call after your payment is made, during the same business day or next business day. Full insurance coverage is provided by IKEA Home Delivery (within Klang Valley area). This method is essentially the same as (i) with Estimated Time of Delivery the same as IKEA Home Delivery (Without Assembly). Full insurance coverage of delivery and assembly are done by IKEA Home Delivery (within Klang Valley area). The cost is calculated based on the items you ordered. The system will calculate for you automatically. 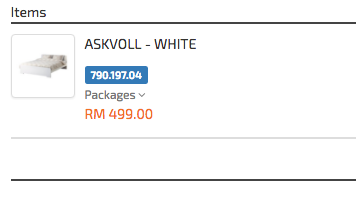 The estimated delivery time is 3-5 working days for Malaysia and insurance insurance coverage up to RM200 per shipment. You will receive a tracking number once your items are shipped. You can use this tracking number to check the status online on GEDX’s website here. Delivery within 3-5 working days for Malaysia. Delivery within 5-7 working days for Singapore. Simply choose the delivery method of your choice, and click Next to proceed with the final step which is payment. As explained earlier, this final step will process your online payment. You can either choose paying through your online banking or PayPal. 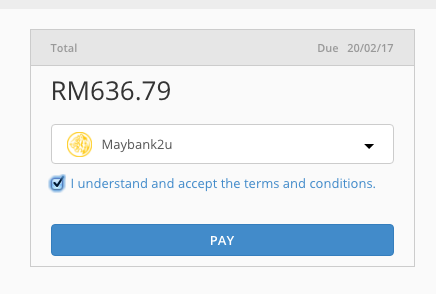 Using your online banking has no processing fees but PayPal will charge 3.9% transaction fees + RM2.00. This is an actual fee charged by PayPal. Using this method, you can use your international credit card if you don’t have access to online banking in Malaysia. If you hit next, the page will go the next page where you are given the option to choose your bank. The total amount payable is clearly displayed (this is an example). Be sure to check the terms and conditions and click Pay. If you have a coupon code or voucher code, click Apply Here which is shown above the Order Summary box. A window that connects you to the online banking portal depending your bank of choice will open. Perform your online checkout and finally once the payment has been made, you should be getting a confirmation about your order via email. You have finally reached the end of the online purchase via Self-Checkout Portal. The steps may appear long but it is quite direct and straight-forward. A lot of thoughts have been given to design and build the online form to make your checkout experience as positive as possible. Can You Place Your Order Using Mobile Phone? Absolutely! The order form is designed for mobile phone as well as you can see in the screenshot below. The process is also the same as described above. This is ideal if you want to place small orders for a few items or so. As mentioned earlier, we designed this order form with you in mind! There may be cases when you’re ordering for your office or hotel and need to do a bulk order. Please don’t hesitate to be in touch with us using one of the contacts provided. We can assist you with bulk orders. We hope that you’re able to complete the purchase of your IKEA items without any issue. Once again, if you need any help at all, we can be reached at the contact details as shown above.